But we aren't quite ready to replace the iconic yellow cabs just yet. Boston-based startup Optimus Ride has announced that it will be introducing a self-driving shuttle service in New York City during the second quarter of 2019. Now before everyone gets excited/upset about this new development we are still some way from having driverless taxis taking over the city center. Initial plans are to introduce the autonomous shuttles within the confines of the Brooklyn Navy Yard. This 300-acre site used to be a World War II-era factory and is now home to 400 manufacturing businesses with 9,000 people working on site. Optimus Ride will be offering the self-driving service within these confines and will provide a loop shuttle service that will connect NYC ferry passengers to Flushing Avenue just outside the yard’s perimeter. A similar service will be rolled out in Paradise Valley Estates, a non-profit Life Plan Community in Fairfield, California. This news comes just weeks after Optimus Ride announced a partnership to deploy self-driving vehicles at Brookfield’s Halley Rise development, located just outside of Washington, D.C. With these new programs, Optimus Ride will be operating in four US states. 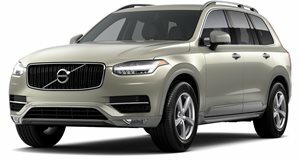 There have been a number of high-profile accidents involving autonomous vehicles in the past few years, the one with Uber's Volvo XC90 causing a fatal crash a year ago being the worst so far. Starting off in these semi-controlled environments is a smart move for Optimus Ride, it will allow them to iron out any wrinkles in their software and hardware before venturing out into New York’s rather more challenging roads. That step will also require a lot more buy-in both from the public as well as New York’s elected officials who have not seen self-driving shuttles as a priority just yet. New York City Mayor Bill de Blasio will also need to be won over before that move takes place. He was against GM's attempts at a self-driving service a few years back which has since fizzled out.